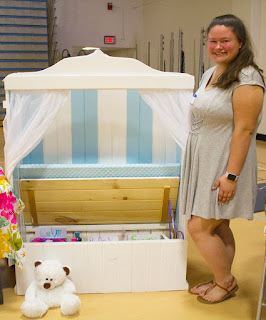 Tri-County Regional held its annual Senior Project Fair in the high schools' gymnasium. The event was held to showcase the three top senior projects from each of the school's 16 career programs. 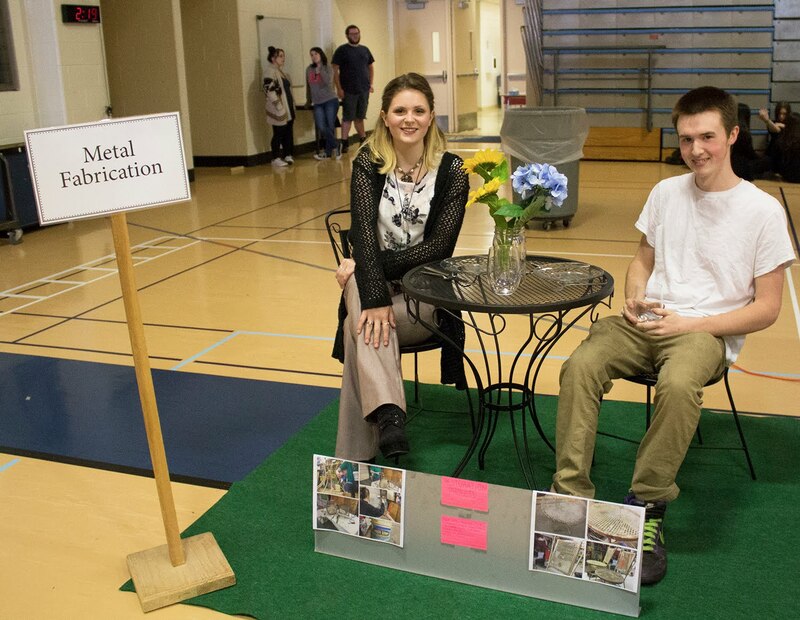 The seniors presented their innovations to the community. These projects are the result of the applied knowledge and skills acquired in their career programs. All students are required to complete a senior project in order to graduate. 1st Place: Michael Barrett of Walpole – Carpentry for his design forward Contemporary Interchangeable Bench. 2nd Place: Lauren Stanley of Millville - Metal Fabrication for her lovely French Café Bistro set restoration. 3rd Place: Danielle Curley of Walpole - Early Education for her serene "Quiet Place". 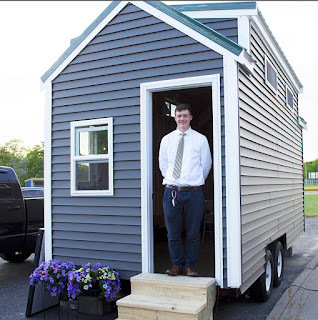 The Student Colleague Choice Award – Trever Langille of North Attleboro - Carpentry for his timely Little House. 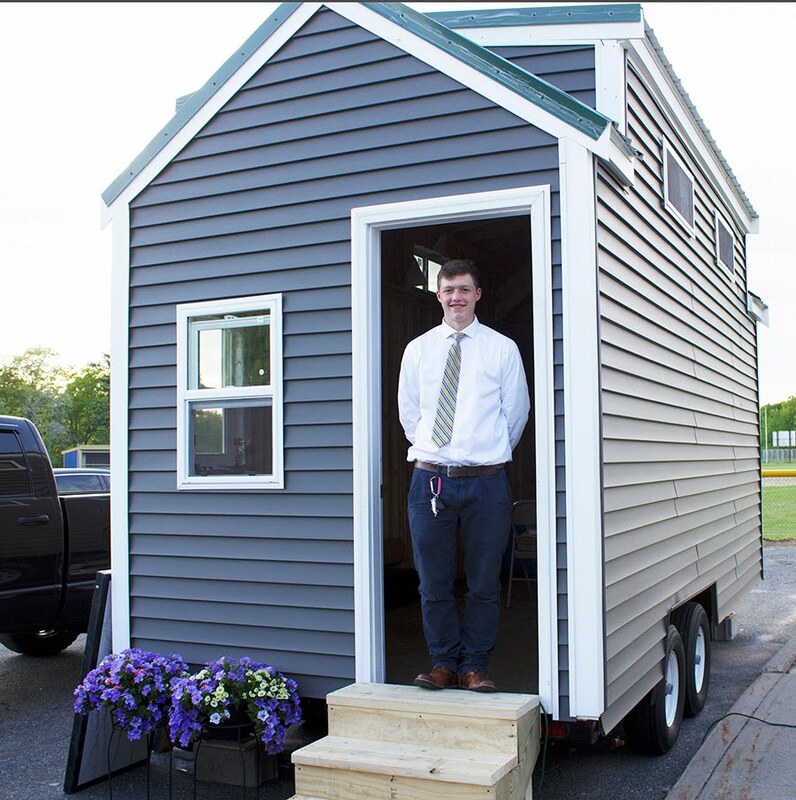 The Senior Project is a capstone project for all Tri-County students. In their junior year, students must research a topic which partners with their trade program area but is outside of the curriculum. Under the direction of their English instructors they take that information and produce an extensive research paper. They then develop and manufacture a product that is relevant to their research. Vocational instructors provide assistance and advice during the development of the product, as well as the research process. The completed product must reflect a minimum of 40 hours of work. Students turn in their finished products in January. The seniors present their products to a panel of industry professionals and Tri-County faculty members. The top three products from each Career Program are then selected to be showcased during the Senior Project Fair. "In order to be successful in the workplace as well as in higher education, our seniors must master this innovative project," said Mary Ellen MacLeod, Director of Cooperative Education. "The Senior Project serves as a pathway for Tri-County students to develop and exhibit what they have learned throughout their four years of high school while putting them into real-life practices. 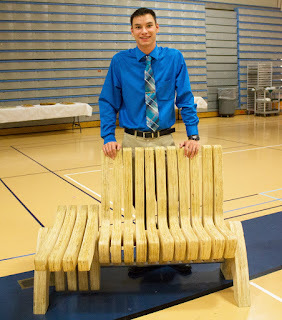 We believe the community has been inspired and awed in what our students have achieved." Early Education for her serene "Quiet Place"